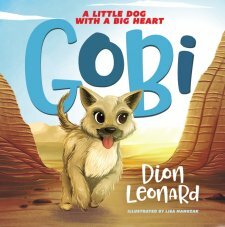 Book Review: "A Little Dog with a Big Heart GOBI"
Thanks Book Look Program for sending me this book for free in exchange for an honest review. I was not paid for this review and all opinions expressed are 100% my own. Are you a Pet Lover? Dog Person? The fact that this story is based on a true story it really pulls on the heart strings. I love how a dog and man can unite together in a race across the Gobi Desert. What fun it would have been to be at the finish line to see the pair cross over it with the victory. One of my favorite lines was, "Dion and Gobi each received a shiny medal. They knew they earned more than medals, though. They had each earned a friend for life." Dog's truly are "man's best friend!"